ANC1A’s Bruce Monroe Long-term Use Survey Report Released | Park View, D.C.
ANC1A’s Bruce Monroe long-term use survey report was officially accepted at their March 9, 2016, public meeting. A total of 814 community members participated in the survey. The survey report along with supporting documentation is publicly available on the ANC1A Web site at http://anc1a.org/library.html. While the survey was not without its limitations, there are a couple of generalizations that should help guide future discussions about the long-term use of the site. There was little support among participants in fully developing the entire site. The chart below best sums this up. 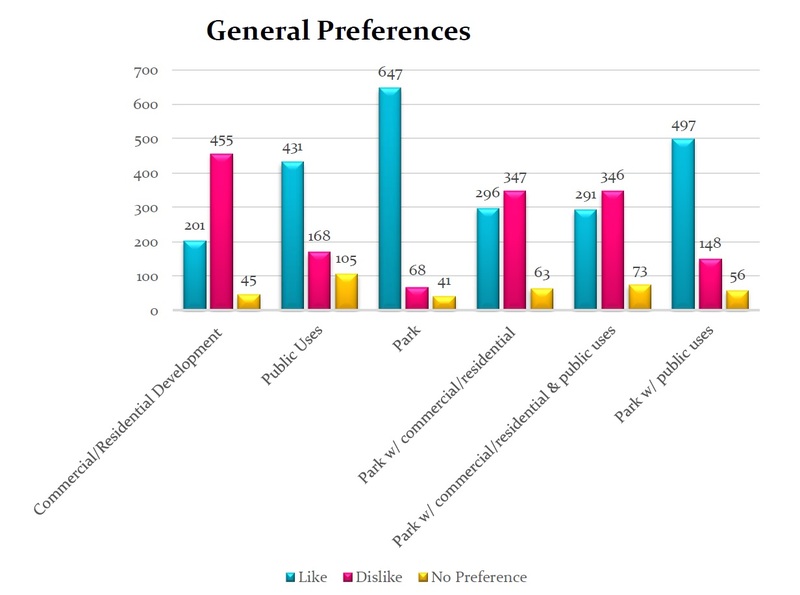 When participants were allowed to select multiple categories with no limit on choices, again there were strong preferences for public uses, greenspace, and a mix of park and public uses. As with the chart above, the only use that participants were strongly opposed to were commercial/residential development when park space wasn’t present. The chart below illustrates these choices. 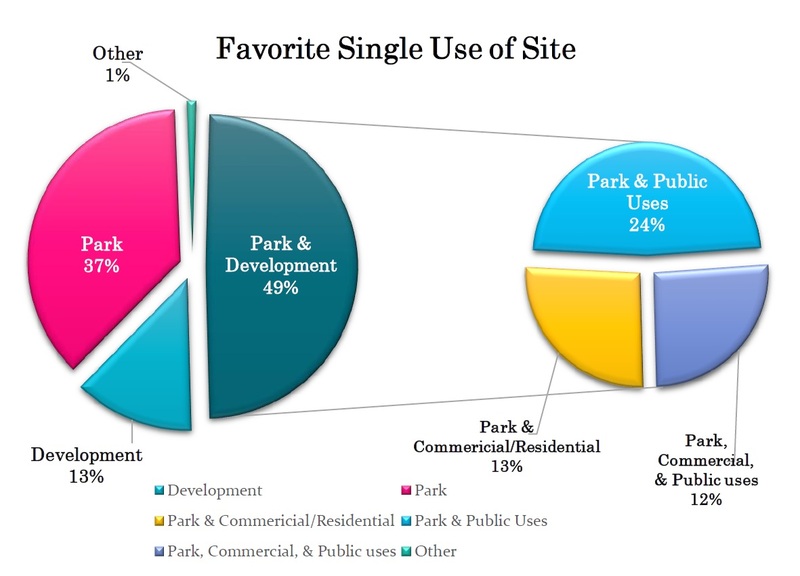 None-the-less, the survey does provide some helpful insight into the communities’ desired uses for the site which should be helpful as ANC 1A considers the future of the site. This entry was posted on March 14, 2016 at 7:01 am and is filed under Uncategorized. You can subscribe via RSS 2.0 feed to this post's comments. Thanks for getting this released. I don’t understand why the author is lumping together Park & Public Uses with Park & Commercial/Residential. They’re two very different things. It’s clear from reading the survey that the vast majority of respondents do not favor the current plan, but that first chart doesn’t make that clear at all. At any rate, I hope the ANC and council think carefully about these results when deciding whether to support the plan Bowser has proposed.